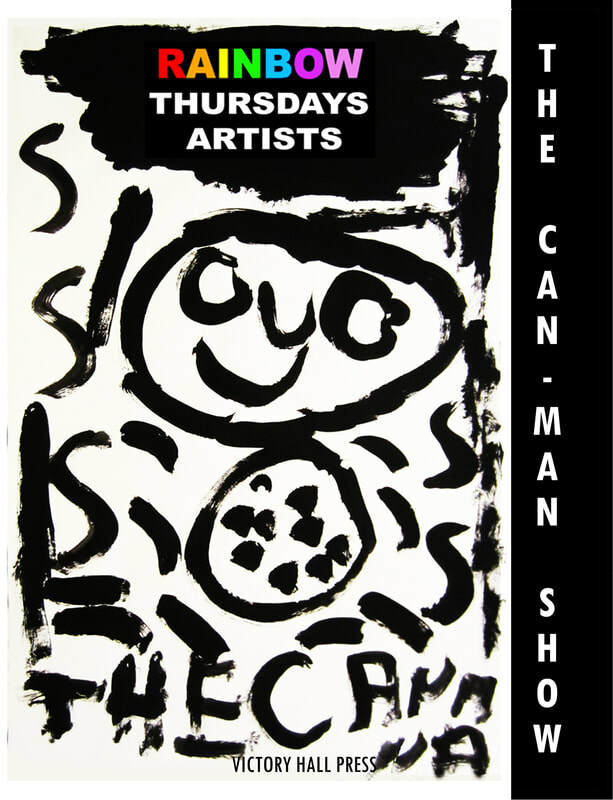 The Can-Man Show book celebrates an exhibition of works by Rainbow Thursdays Artists at Drawing Rooms. This show is a culmination of almost five years of progress as artists for the group. Why is it called The Can-Man Show? We asked them, and this is the name they come up with. As a group, everyone has a pretty fun sense of humor and collecting cans for recycling is one of the ways they keep their hosting program, Windmill Alliance, going. Wayne even made a painting of the mythic Can-Man for our cover. You will find that as a group they create imaginative, thoughtful works that explore and investigate the possibilities they see and hope for. About the Artists:Rainbow Thursdays Artists is a community-based art education program connecting disabled adults with professional artists who provide them with materials, training and encouragement to express themselves through art. High school students interested in art also visit as assistants. Rainbow Thursdays Artists classes are presented free of charge, and are funded in part by a CDBG grant from the City of Bayonne. This weekly outreach art program in cooperation with Windmill Alliance, is now in its fourth full year of operation and many of our participants are advancing in their creativity and skills and are developing an identity as an artist.